You are looking for Things to do in Zurich with a lot of action and fun? Everyone will be in the very best hands at MX-Academy. The training includes working on and perfecting your riding skills such as standing and sitting correctly, braking and accelerating. Don’t worry, if you have never ridden a dirt bike before – most of our participants haven’t. The MX-Academy offers the complete set of safety gear and motocross bikes for small and big riders. 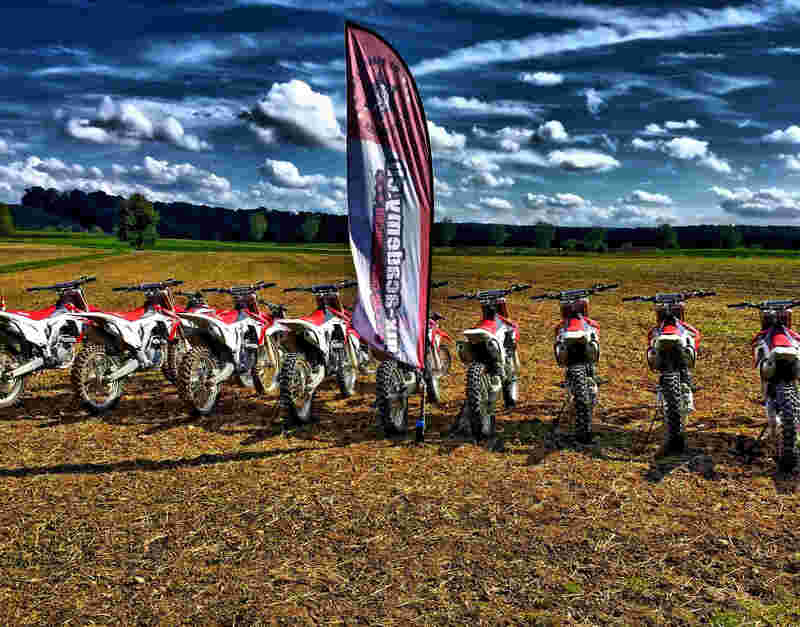 In all of our courses you can rent one of our fully-equipped motocross competition dirt bikes or motorbikes. In the Heart of Europe you can spend some days with Motocross, Enduro and sightseeing in Zurich. One of the Things to do in Zurich for culture fans – the National Museum Zurich. The National Museum is located in the heart of Zurich by the Main Railway Station. It houses the largest collection of cultural-historical objects in the country. History comes alive behind its thick walls. The material heritage they left behind provides with answers, from prehistoric times to the present. The permanent exhibitions at the museums present Swiss history from its beginnings to the present, and give an insight into Swiss identities and the rich tapestry of our country’s history and culture. The National Museum Zurich is regarded as one of the outstanding 19th-century constructions of its type, and an architectural monument of national importance. Things to do in Zurich when you finish are tired after a shopping trip? A trip to Paradeplatz. So visit the large Sprüngli café in Paradeplatz. Its old-world glamour is the perfect place to enjoy coffee and a cake.Paradeplatz is the heart of Bahnhofstrasse (railway station street) and an important tram junction near Lake Zurich. Paradeplatz has made a name for itself as the largest financial transaction site in Switzerland since the time when large Swiss banks set up their main offices there. Sit on a bench and let the atmosphere sink in. Things to do in Zurich for families, couples and friends - a trip to the Zoo. The zoo is open 365 days a year. At Zurich Zoo, visitors can experience Andean bears climbing in their mountain cloud forest enclosure, snow leopards in their rocky Himalayan landscape and watch giant tortoises looking for food in the Masoala Rainforest. This tropical oasis get an area of some 13,000 square yards, with a treetop walkway offering spectacular views of the flying foxes and butterflies that move about freely here. it is a little piece of Madagascar in the middle of switzerland. Zurich Zoo with different species and their habitats it is a showcase for nature. Frauenmuenster Church, one of the four main churches of Zurich, hides in its interior one of the most beautiful stained glass windows created by Marc Chagall. The windows are world-famous and captivate visitors.. The convent once held great power in Zurich. Founded in 853 by King Louis the German, this church with its convent was inhabited by the female members of the aristocracy of Europe. The convent enjoyed the patronage of kings and the abbess the right to mint coins in Zurich until well into the 13th century. Ownership of the church and convent passed to the city of Zurich after the Reformation. Important architectural features include the Romanesque chancel and the high vaulted transept. The cloister also reveals a series of frescos. So this is one oft he most Things to do in Zurich.